Hyundai has updated the feature list of its midsize sedan, the Elantra. 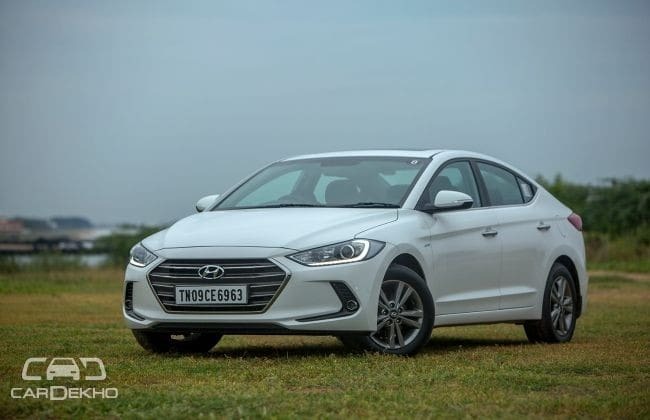 Features such as front parking sensors, wireless mobile charging, emergency stop signal and Hyundai autolink connectivity now make it to the equipment list of the Elantra. These new features have been added only on the top-sec SX(O) variant, and that too only for the automatic transmission-equipped variant. The corresponding increase in price of the said variant with the petrol engine is Rs 68,000 and with the diesel engine is Rs 72,000. Besides this, Hyundai has also updated the equipment list of the Elantra SX, which sits below the top variant. It is now equipped with safety features such as electronic stability program, vehicle stability management and hill hold control. Other additional features include electric sunroof, smart trunk, auto cruise control and auto-dimming day/night IRVM. All of these features were earlier limited to the top-spec SX(O) variant only. Over the Elantra SX, the SX(O) still gets HID headlamps, LED DRLs, leather upholstery and electrically adjustable driver seat. With the update, the petrol-manual Elantra SX now costs Rs 78,000 more, while the petrol-automatic and diesel-manual variants command a premium of Rs 85,000 and Rs 73,000 respectively. Verdict: The premium of around Rs 70,000 that Hyundai is asking for the additional features in the SX(O) AT variant is too steep in our opinion. However, the premium on the SX variant seems justified, considering the extra features this variant receives.